The URBACT III programme offers new tools for cities in the programming period 2014-2020. Through the programme Capitalisation activities, urban players beyond the partners of URBACT III networks will have access to the knowledge and good practices gathered within URBACT. In particular, URBACT’s involvement in the Urban Agenda for the EU partnerships ensures that cities voices are heard in the framework of this multilevel governance tool. 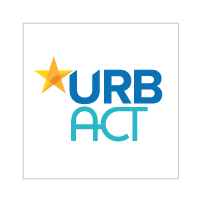 The capitalisation action ‘Fight urban deprivation: a local pact pilot’ is URBACT’s contribution to the Urban Poverty Partnership action plan (see Annex 1: Urban Poverty Partnership Action Plan – Action 7). It takes the experience of URBACT cities dealing with deprived urban areas and couples it with the multilevel governance approach of the Urban Agenda to test how cities can work with national and other levels to more effectively tackle the issue of urban poverty (see Annex 2: Fight urban deprivation: a local pact pilot). While we expect the two experts to work closely together, one will focus more on the analytical work linked to setting up and monitoring local pacts; the other will focus more on the process of organising peer review processes and the policy lab organisation.